In the spotlight is a very special gentleman who was “The Governor” in the 1950's at Underhill. A legend in the amateur game and perhaps the best centre half in England never to turn Professional. He is one of the players that are the foundation stones for our football club. I am very lucky to say I keep in contact with and continue to meet ex Barnet players and many have become dear friends. 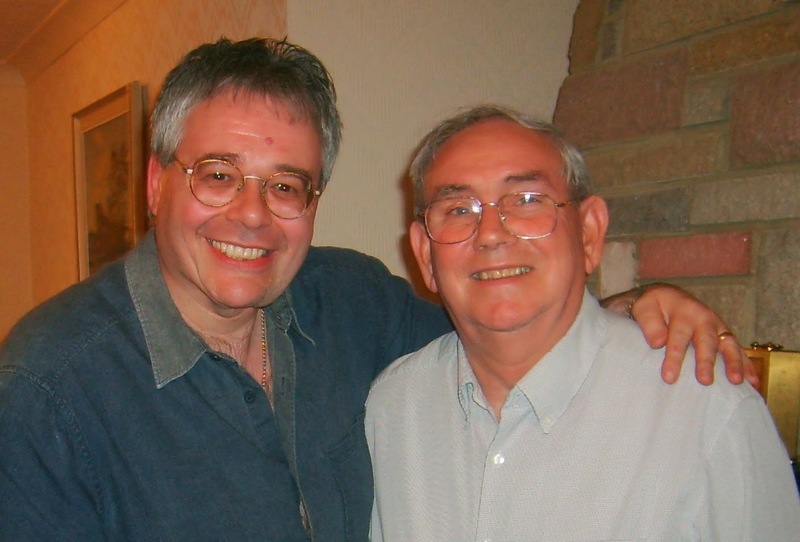 Alf is one in particular and I caught up with him at a recent Barnet home game at the Hive - so I felt compelled to update this tribute, originally written in 2014 to him. 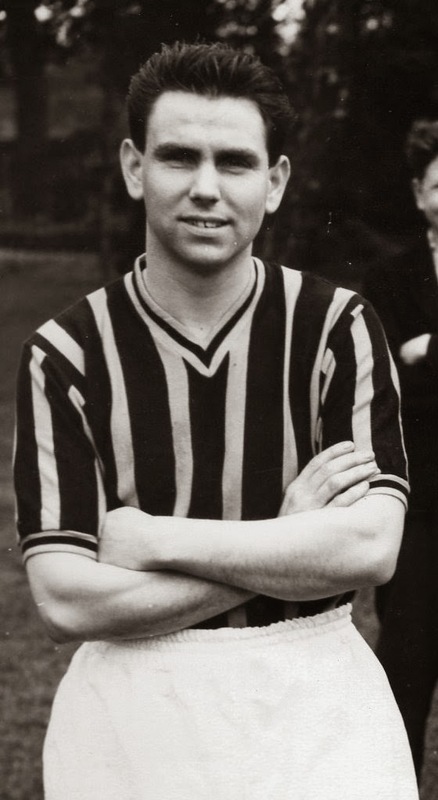 He played over 300 times for Barnet, won over 40 Amateur International Caps, captained his club and country, and represented the Middlesex Wanderers travelling all round the world. 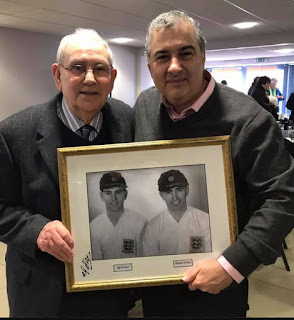 He played at the old Wembley 5 times in Amateur Cup finals, won Athenian League and Isthmian League Championships with Barnet, Enfield and Slough But it all started at Underhill in 1950. 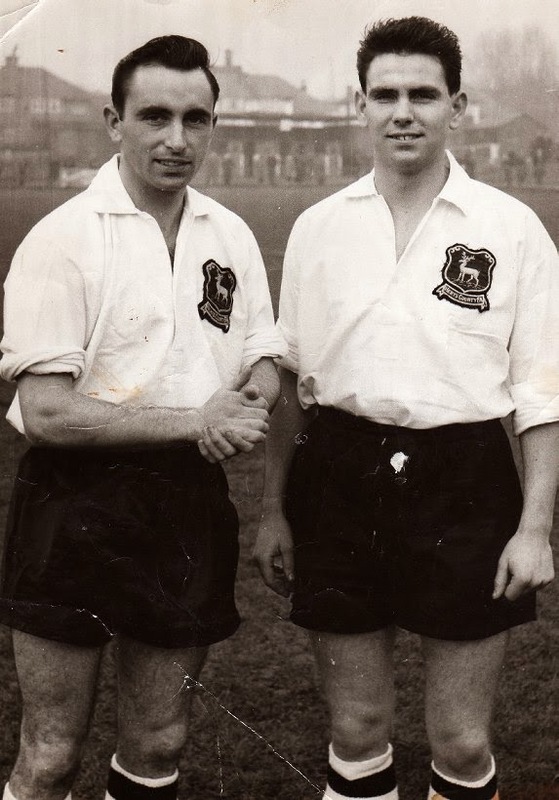 Throughout the 1950's, after a break for National service in the RAF, Alf D’Arcy built up a reputation as the finest centre half in the non-league game and was selected to represent his country while at Underhill and was soon made captain of England Amateurs. His debut for the first team came in April 1953 as an inside forward (Number 10) in the following line up in 2-1 defeat away at Tooting & Mitcham. Stevens - Livermore, Duncan - Bennett, Clark, Cooper - Gerrans, D'Arcy (D), Phipps, D'Arcy (A), Scott. Alf was selected time and time again for the Middlesex Wanderers FC, the team of guests whose basic aim was to promote the ‘beautiful game’ throughout the world. Alf toured to the Far East, The West Indies, and all over Europe with the Wanderers. “Let me tell you the changing rooms in the old wooden stand at Barnet were pretty basic and the baths were old storage tanks! Before the game we were served tea and toast, half time was a cup of tea or soup. We trained on the pitch and did our running around the terraces. There were no wages as such just basic expenses but to be fair the club always arranged a nice meal for us after away matches in a hotel or a restaurant on the way home. Around this time I bought a house in East Barnet right next door to someone who played a huge part in my early football career, Lester Finch”. “I was working as a plumber, but I thought that was too cold out in all weathers! So I got a job with my father as a machine setter and spent 22 years doing that before starting a travel business in the 1960’s with my pal Tommy Lawrence”. 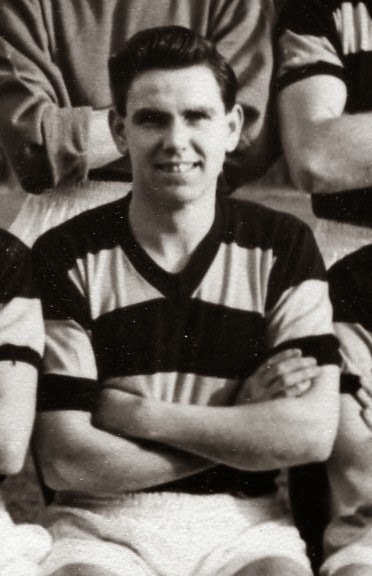 Sadly in February 1962 Alf left Underhill after a disagreement with then Chairman APG Walters and finished the season with St Allbans City and then moved to our bitter rivals Enfield where he had more success winning League titles and then two FA Amateur Cup winners medals in 1967 and 1970. “I didn't go out in a blaze of glory from Barnet but it really was a wonderful place to play. At Enfield I came up against my old mates at Barnet and some of the best tussles were with Roger Figg, there was a great goalscorer. I left Enfield in 1970 and moved to Slough Town and played at Wembley again aged 38”. I asked whether he had ever considered managing a club? “I was basically a number two to Tommy Lawrence at Enfield when I was captain and coached a little while at Slough. I went back briefly to Southbury Road to coach the reserve side but it wasn’t for me. I wanted to concentrate on my business interests, a travel company specialising in arranging tours for football clubs to all parts of the world”. The company has been a major success story as KAM Sports and it moved on quickly to looking after the travel arrangements for the top English teams like Liverpool and Tottenham in Europe. “I got even more opportunities to travel to some wonderful places with the business and It is still going strong run by my sons and has given me a comfortable lifestyle” said Alf proudly. Who were the greats? I asked him and again he replied with assured reasoning. “The greats are players who have the ability to almost stop a game in full flow by just receiving the ball. Bobby Moore had it, Bobby Charlton had it, John Charles had it, Johnny Haynes had it, Jimmy Greaves had it, almost like a respect that made normal players take a step back. I didn’t get anywhere near to their level but that is how I tried to present my self on a pitch. Alf is now aged 83, fully retired and spends his days at home, visiting his apartment home in Southern Spain or just socialising. He tells me proudly, yet in a modest almost apologetic manner that Dave McKay, Keith Burkinshaw and Steve Perryman are among his close friends. 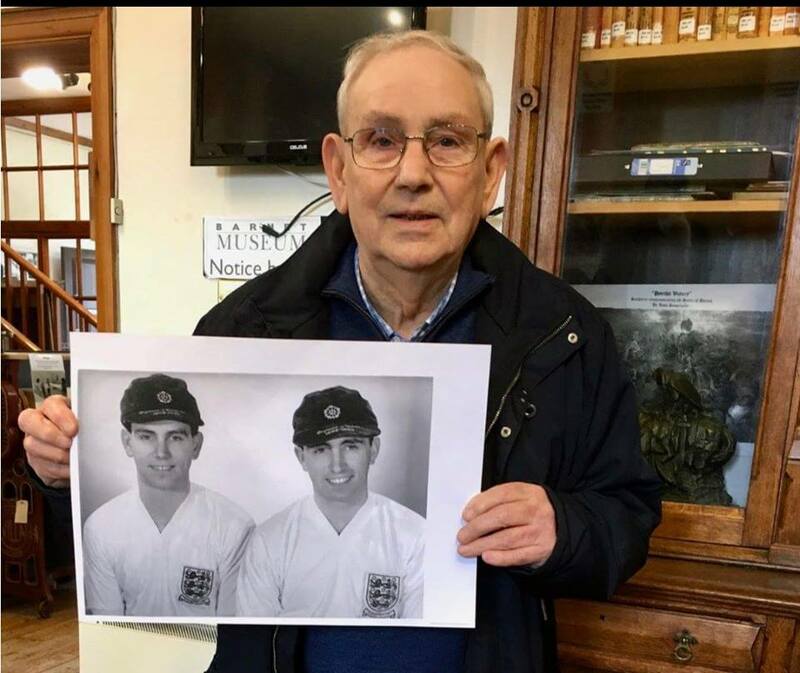 He has recently moved to a lovely bungalow in Watten at Stone but on the walls in one room of his last beautiful home in Tewen Hertfordshire, which doubled as a bar and billiard room, were numerous precious personal photographs of his heroes – Jimmy Greaves, Bobby Moore, The Charltons, the list is endless. They will I am sure find new homes on new walls. Alf and I talk on the phone regularly, he is keen to know the ins and outs and who and why at Barnet FC. As I said I am very proud to call him a dear friend too now. Every summer he hosts a huge Bar B Q in his garden for his 4 sons, 11 grandchildren plus his close friends – most of them ex professional footballers. His hospitality reflects his personality, warm and generous. He won't feel embarrassed when I tell you he looks great and when it comes to football and tactics his mind is as sharp as a tack.